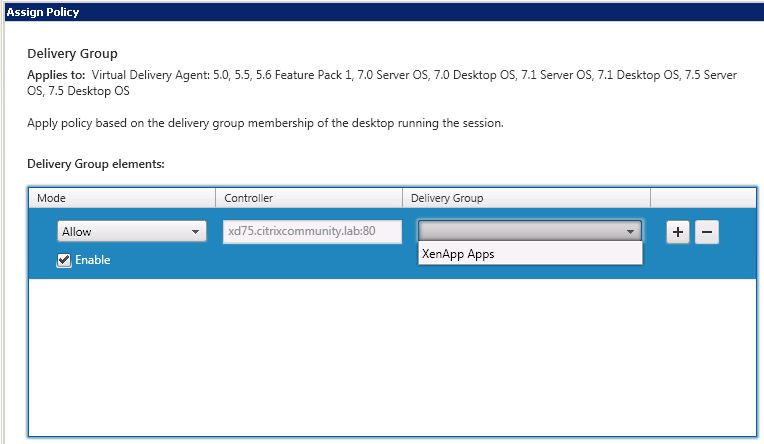 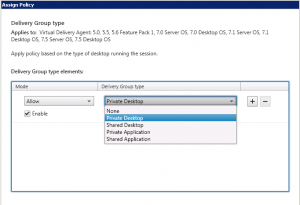 This is part six of a series looking at XenApp 7.5. 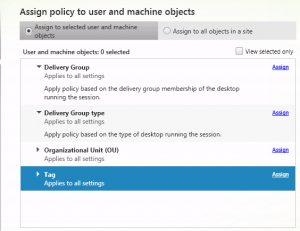 If you are familiar with XenApp 6.x policy framework, you’ll probably be applying (or filtering as Citrix calls it) computer policies to either individual servers, worker groups, or Active Directory OUs. 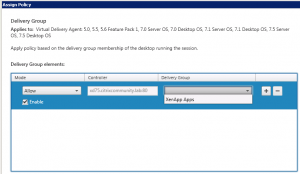 XenApp 7.5 has done away with the concept of worker groups, but there are several new ways of applying/filtering XenApp policies that provide even more granularity over worker groups. 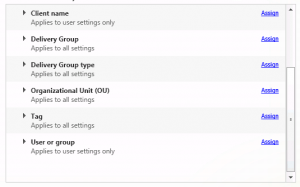 For settings that apply to users, the list of types grow to include those that were available on previous versions of XenApp such as Access Control, Client IP address, Client name, OU and user/AD group. 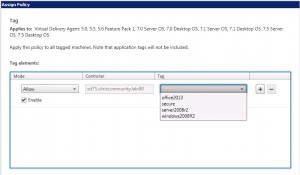 Let’s take a closer look at some of the new ways of applying policies. 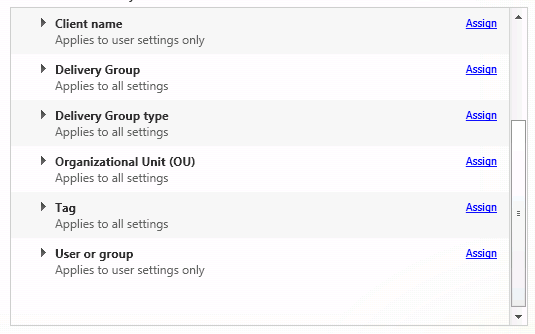 When you come to create the policy filter you choose your delivery controller and you get presented with a drop-down list of all the defined tags across all computers. 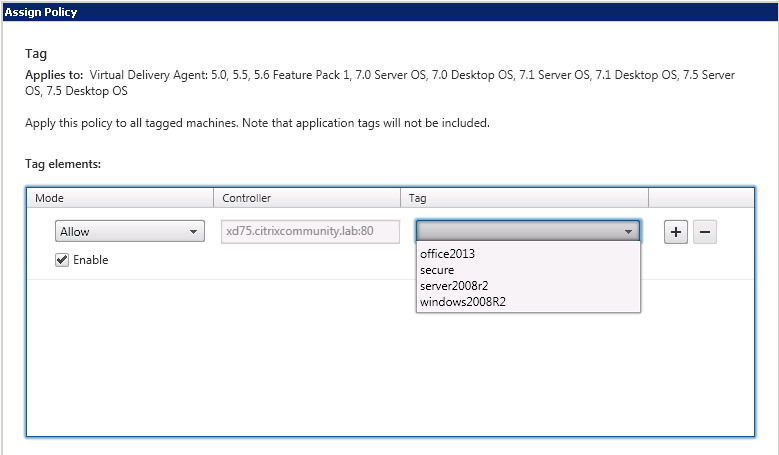 You can both Allow or Block the policy on machines that contain the particular tag, and combined rules to apply/block against multiple tags. If you want the policy to apply to a specific delivery group, you can choose from a list of the currently defined delivery groups. 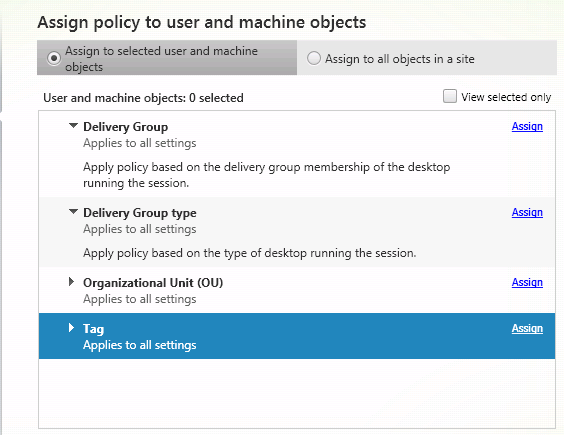 I won’t cover applying policies to OUs, AD users, AD groups and Access Control as they are broadly the same as previous XenApp versions.